Dracula is a gothic novel written, in 1897, by Bram Stoker using the format of diaries and letters. Its main character was inspired by the real life of Prince Vlad III of Wallachia (1431-1476), famous for being a valorous and sanguinary leader, devoted to driving away the invading Ottoman troops. The plot and the atmosphere created by the author, mostly dark and mysterious, contributed to the enormous success of the book and to its several cinematographic transpositions like, for example, the Murnau’s movie (1922) and the one, more recent, by Francis Ford Coppola (1992). Abrahm Stoker was born in Clontarf, a suburb of Dublin, in 1847. Because of his poor health, he spent most of his childhood in bed. 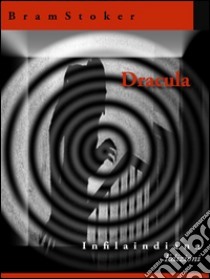 Inevitably, this left a mark on the rest of his life and led him to show interest in themes as the continuous sleeping and the undead, fundamental topics of his masterpiece: Dracula. Stoker was friend and personal assistant of the English theater actor Henry Irving for many years. His novels include: The Snake’s Pass (1890) and The Mystery of the Sea (1902). He died in London in 1912.